When your relationship is on life support, the Breakup Doctor is on call. There’s no shortage of broken hearts in Breakup Doctor Brook Ogden’s successful breakup counseling practice—if love is a battlefield, then Brook is the cavalry. Luckily her own love life is in full recovery: after a long, tortuous road, she and Ben Garrett are finally headed down the aisle. But when a local TV personality—and former frenemy—invites Brook onto her show, she’s blindsided live on the air when the interview turns into an act of long-delayed revenge meant to publicly humiliate her. Brook’s an expert at getting back on your feet when life knocks you down, but as the blows keep piling on—with a betrayal she never saw coming and a family crisis that threatens to pull the foundation out from under her—her confidence starts slinking away. With her clients dropping her faster than a one-night stand, suddenly the Breakup Doctor’s career is in critical care. Brimming with both the sublime and ridiculous aspects of love—romantic and otherwise—Out of Practice is a funny and heartwarming tale about loss, grief, and failure that will resonate with all who have loved, lost…and dared to love again. As you know, I don't like jumping into a series part way through, but I read Heart Conditions (Breakup Doctor book 3) last year and loved it so much that I didn't hesitate to add book 4 to my reading list. All of my favourite characters are back: Brook and Ben, with their dogs Winston and Jake, and Sasha and Stu with their new baby, LJ. Out of Practice takes on a more serious tone as Brook and her family learn to cope with the loss of her dad. Add to the fact that Brook has not set a wedding date so Ben isn't sure whether she actually wants to marry him, and then Brook's professional world tumbles down around her after she is humiliated on TV. Just when you think things can't get any worse, Madison, an ex-client of Brook's publishes an exposé in a newspaper that tears Brook's confidence to shreds. So it's no surprise to find Brook's mind in a whirl as she struggles to cope with everything that's going on. Family is a big theme in Out of Practice as Brook's family support her (when she lets them) and they all worry about her mom who seems to be forgetting things. Is it part of her grieving process or something more sinister like Alzheimer's? Brook's brother, Stu, thinks he has to be the strong one now that he's the man of the house, but nobody stops to think how he is coping without his dad. We all deal with grief very differently and I think grief comes hand in hand with guilt as we think of things we did wrong and could have done better but won't ever get the chance to make it right. Phoebe Fox has written a beautiful sentence in Out of Practice that I want to share with you here. It completely captures the feeling of being cast adrift and losing direction when we lose somebody we love. "We'd always thought my mom was the trunk of our family tree, but when my dad passed away we realized he'd been the roots that anchored her." 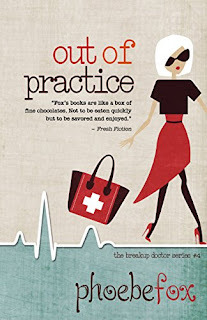 Out of Practice is a soul-searching, thought-provoking read, taking chicklit to the next level. 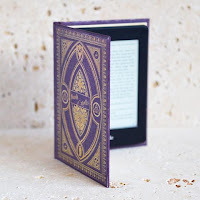 I lived and breathed Brook's journey with her and felt every bump in the road through Phoebe Fox's vibrant and emotive writing. I feel as if Brook has grown up in Out of Practice as she finally works out what she wants out of life. I had my fingers crossed that she would get her happy ending, and does she? You'll just have to read it for yourself to find out. I chose to read an ARC of Out of Practice and this is my honest opinion.